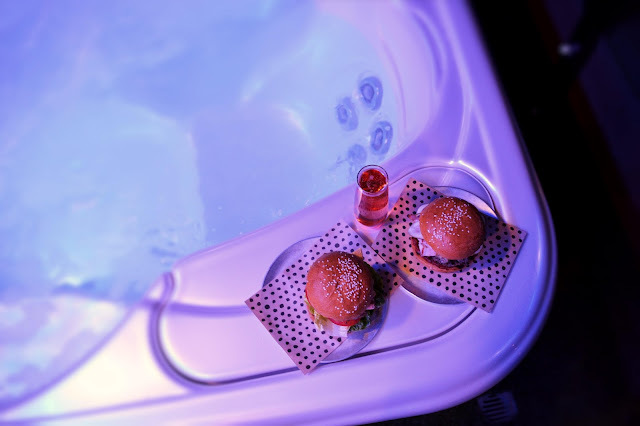 Your own private hot tub, valley views, and CHUR BURGER ROOM SERVICE! Sound pretty sweet? Then you should download the Hotel Tonight App and book your staycation at TRYP Hotel. That's exactly what we did this past weekend. The funky, and extremely stylish TRYP Hotel is located in Brisbane's entertainment hub - Fortitude Valley. Just minutes walk from James Street and the Brunswick Street Mall. the hotel is the perfect home away from home for those looking for a fun and action packed weekend in the valley! We booked our stay using the Hotel Tonight App which recently stealth launched in Brisbane, and got a killer rate. Hotel Tonight is all about taking the hassle out of planning a getaway. Their motto is, "Plan Less, Live More"! It only takes 3 simple clicks to book a room, and you can score some seriously discounted rates. 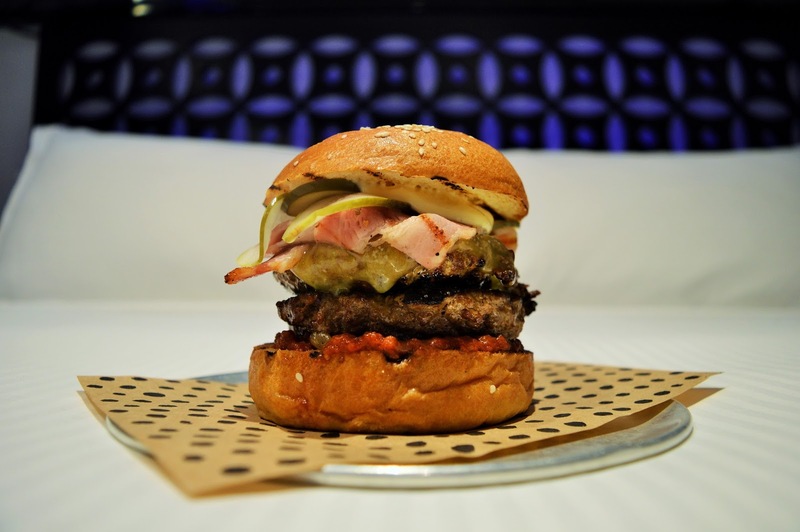 Oh, and did we mention there is CHUR BURGER ROOM SERVICE!! 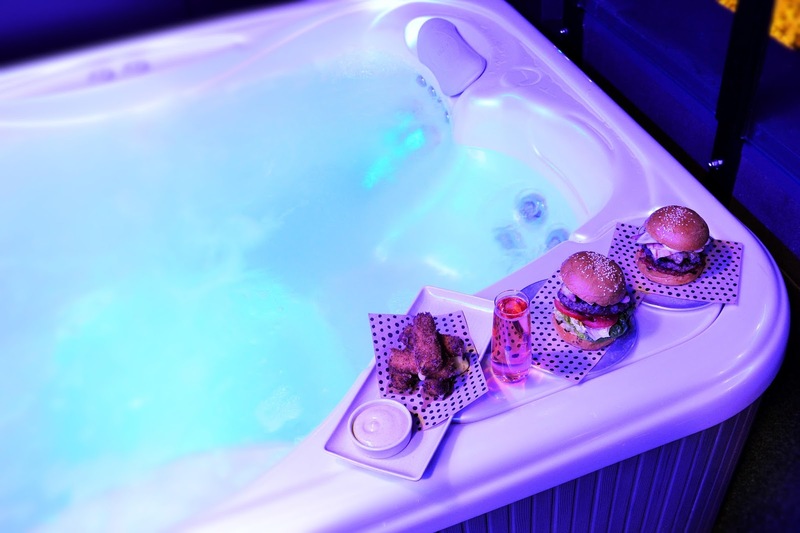 One of the many perks of staying at the TRYP Hotel, you can enjoy chur burgery goodness from the comfort of your plush King Bed or Jacuzzi...The choice is yours! Do you have a special occasion coming up? Or just need a break? Well this is one AWESOME treat that won't break the bank. To score an insanely good deal on a great Brisbane hotel like we did, download the Hotel Tonight app and use our code 'AMERIAUS' to get $30 off your stay! 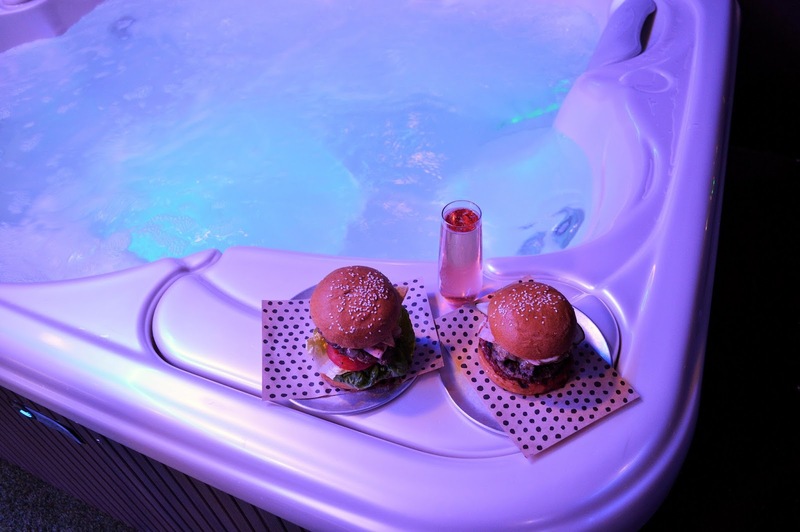 Treat your friend or special someone to a fun weekend escape. You deserve it. To download the Hotel Tonight app and check out the sweet deals, click here. *AmeriAus was the guest of Hotel Tonight.